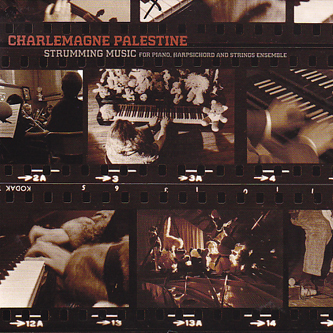 Charlemagne Palestine's 'Strumming Music' is universally regarded as his best-known composition and considered a masterpiece of the 20th Century Avant-Garde. Sub Rosa have compiled three versions over three discs, Charlemagne's original 'Strumming For Bösendorfer' (1974), Betsy Freeman's performance 'Strumming For Harpsichord' (1977), and 'Strumming For Strings' (1977) organised at SF Conservatory by John Adams, together with a 16-page booklet by Ingram Marshall. 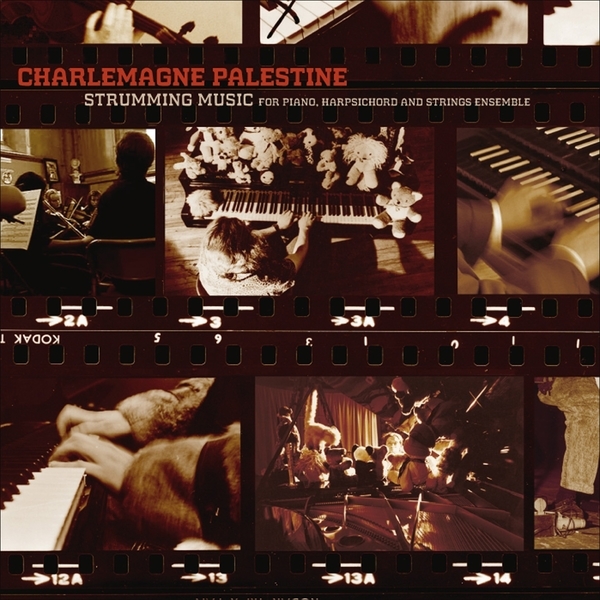 The original piece features Palestine forcefully playing two notes in rapid alternation for over 45 minutes on a nine-foot Viennese Bösendorfer Imperiale Grande piano with the sustain pedal depressed for the entire duration. The notes gradually expand into clusters and as the piece grows the piano slowly detunes, building spine tingling harmonics and eliciting a variety of rarely heard spectral timbres and high overtones which could really only be captured with an instrument of this calibre, and by a musician of such magnitude. The ritualistic effect is intensely astounding, in the most visceral, mesmerizing and physical sense of the word, capturing your attention from the first note and exponentially increasing it over the duration with the most sublime and somnambulistic grace. We could not recommend this set any higher. Life affirming stuff.